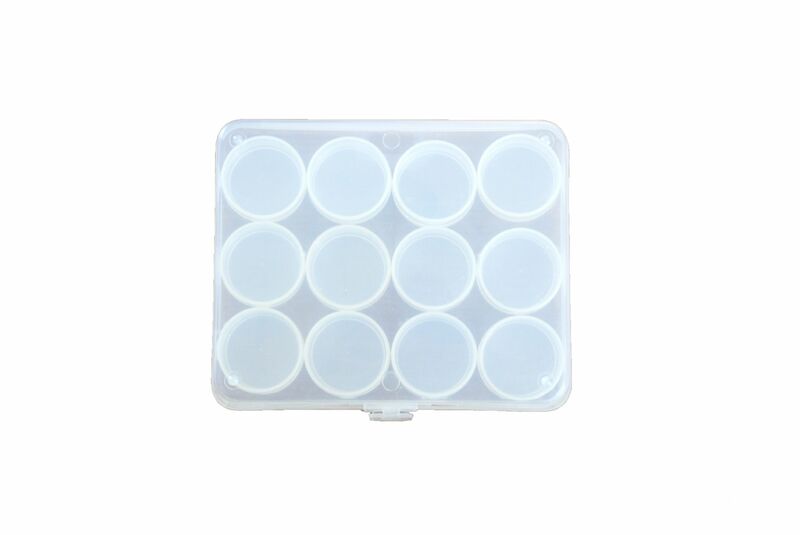 Storage Box Clear with 12 Clear Lid Compartments. Beads findings jump rings. 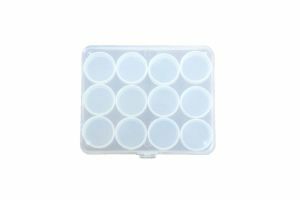 165mm x 135mm clear storage box with separate 12 small clear boxes with lids inside each small box measures 40mm depth 20mm. Brilliant for beads and findings, etc. The lids are push on. Check out our other listings as we have the same but with clear lids pots as well as over 700 listings of hard to find tools, etc.